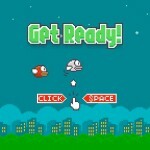 Skill Action Pixel Android Click to find more games like this. Cheat: Keyhack 1 toggle health. 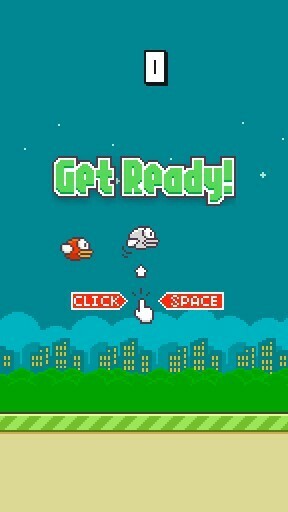 Enter Flappy Bird, a super simple avoidance arcade game that has suddenly exploded in popularity on both Android and iOS devices. 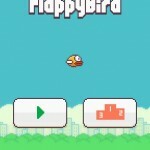 A cute pixel bird flaps its wings as you touch the screen, moving higher with each tap. 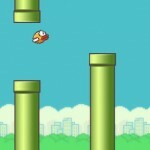 Pipes with randomly generated gaps scroll by, and all you have to do is keep the flappy bird away from anything solid. 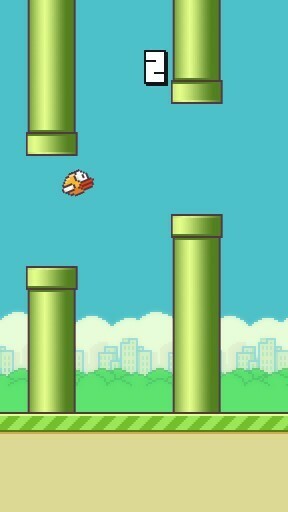 The intense difficulty is one of the things that makes Flappy Bird so captivating. It's not easy passing even one pipe gap, let alone a handful in a row. 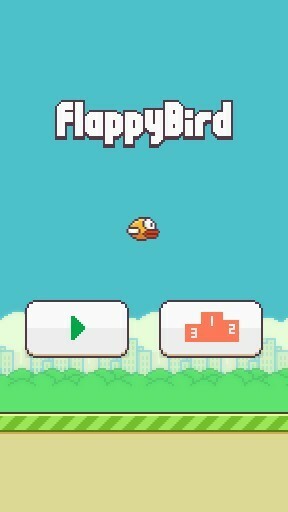 There are no power-ups, mini-games or other diversions to keep you distracted, it's just pure, raw, intense tapping. Play until you get the timing right, then keep playing to beat the high scores. The slightest collision ends your game, so be careful, and try not to throw your phone in frustration. The trick to mastering Flappy Bird is to come up with a good rhythm. The bird has a lead belly and sinks faster than you expect, cutting reaction times to their minimum. Stay calm and keep the rhythm going. 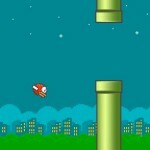 Don't focus on the pipes, just keep your eyes on the bird and don't deviate from your tapping pattern. 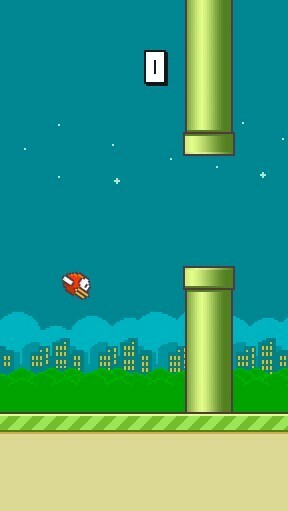 Another strategy is to stay high, drop when a pipe comes near and rapidly tap to ascend through the gap. Cheats and hacks aren't worth it, just stick to the plan and you'll get double digit scores in no time.